You’re walking home from a stressful day at work. A loud firetruck races by, sirens blaring (your chest tightens). Cars start honking at a group of pedestrians crossing the street (chest tightens). A car doesn’t stop at a red light and almost runs you over (chest tightens). There’s a wall of people walking towards you, and it doesn’t look like anyone will move to let you through (chest tightens). Then you come up behind a wall of people walking in the same direction you are, but they’re so slow. At this point you just want to get home (chest tightens). Finally you’re at home, but now you feel exhausted and combustable. This is how I feel probably 1/3 of the week. The most important thing to know right now: you’re not alone. 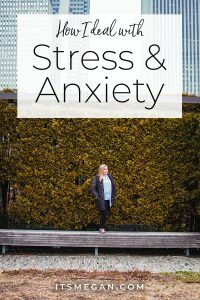 Feeling stress and anxiety is something that everyone will go through. I have searched online for the best tips to help me calm down from these situations, but haven’t been satisfied with the results. 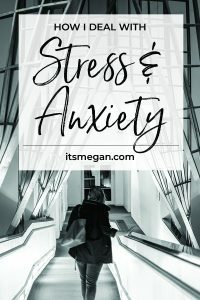 This deep-chest-tightening-anxiety is not a surface level stress. “Just drink some water” doesn’t always work. But what’s important is to identify what you’re feeling so that you can find what best works for you, in each situation. The scenario I outlined above is just a stressful day, that causes anxiousness in me. It’s not even one of those “poor mental health days” where I just get too deep into my own head and get down on myself. Those happen, too and being able to acknowledge which feelings you have at the moment will allow you to properly care for yourself. For example, I know that I am 51% extroverted, 49% introverted. Sometimes I crave human interaction, but if I over-do it, I need to hide in a dark room and watch movies for a day or two to recharge. Before I get into my tips on dealing with anxiety, my very first and foremost tip is to start paying close attention to those feelings. Not all anxieties are created equal. First, eat a snack (and yes, try drinking water). You’re not you when you’re hangry. 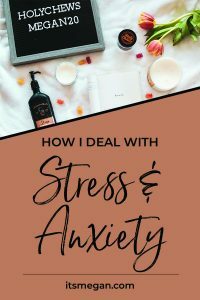 Sometimes I get extremely stressed and angry – and it is just low blood sugar or dehydration. That one is easy to fix! Exercise gives you endorphins. Endorphins make you happy. Happy people just don’t kill their husbands. They just don’t. I love these CBD gummies. One, they are delicious, and two, I have a lot of trust in this company! I first heard of Holy Chews because they reached out to me on Instagram. They sent me a jar with 30 gummies, and I like their product so much (as did my husband), I sent a few to my grandma as well. 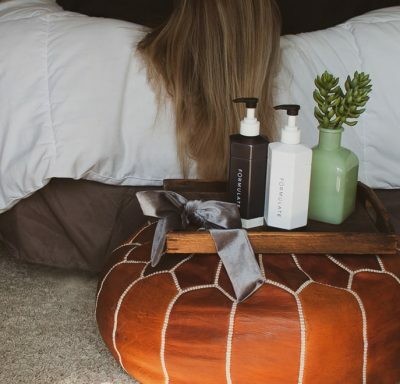 I know that there’s a stigma associated with CBD – but I’m here to set a lay a few facts down for you. CBD doesn’t get you high, nor does it have any psychoactive effect. By taking CBD, you are not breaking the law. Got that? There is no THC in CBD. Since there’s no THC in CBD, CBD doesn’t show up on drug tests, because it’s not a drug! I’ve read that some CBD oils on Amazon have a trace of THC because of poor quality control. You don’t have to worry about that with Holy Chews. CBD acts on serotonin and GABA receptors to help stabilize mood and regulate anxiety. Similarly, Xanax also works with GABA receptors by binding γ-aminobutyric acid A receptors in the brain, decreasing the overall level of brain activity. However, after prolonged use, Xanax can cause the body to stop creating GABA receptors on its own. 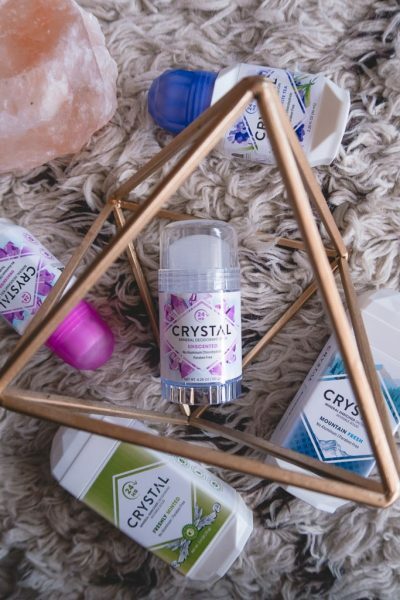 So, people are swapping their xannies for CBD! 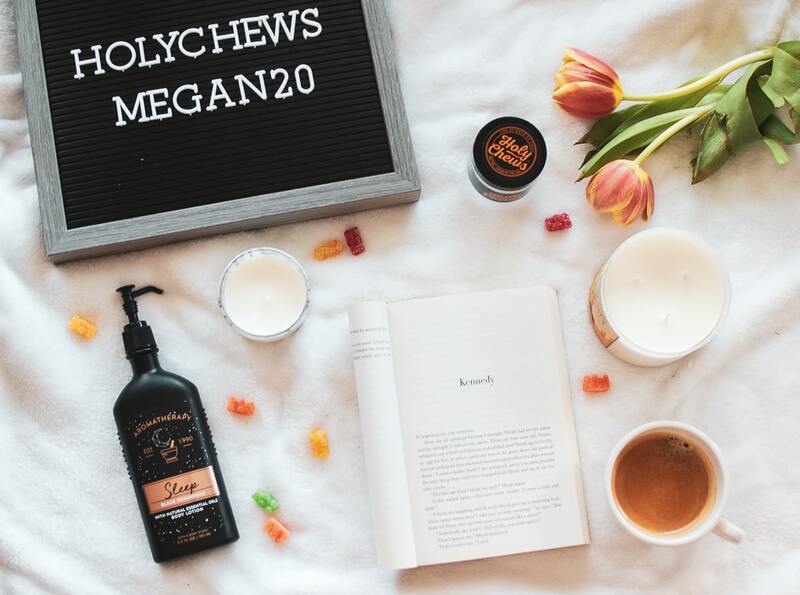 Want to try Holy Chews for yourself? *I recommend starting with 1 gummy. One was the perfect amount for me, but my husband preferred two. I also felt the effects immediately, my husband took a bit longer to feel relaxed. 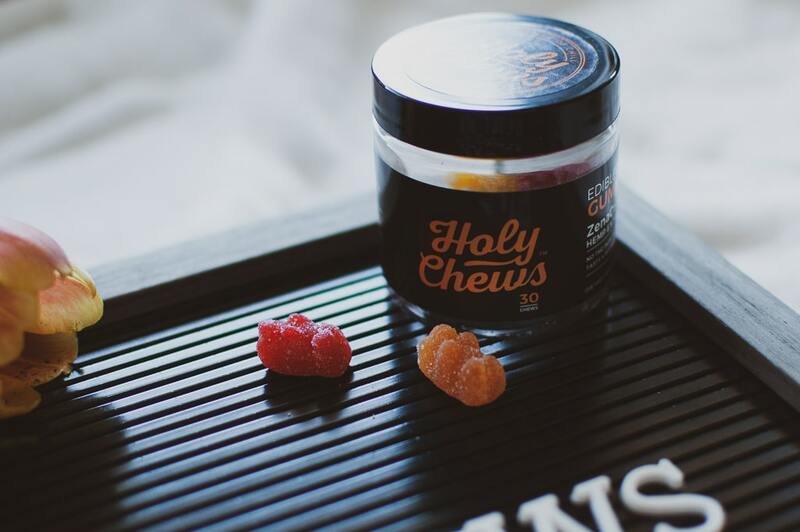 Each gummy has 10mg of CBD extract, and because everyone is different, Holy Chews recommends starting lower and increasing the dosage as you feel you need to. Read a book! One of the best ways to force yourself to calm down and escape the hectic world around you is to dive into a story. I have a list of books I’ve read here. Message me if you’d like to know my recommendations! Or, go to a movie alone. This is one of my all-time favorite things to do. Especially if that introvert part of me is looking to recharge. You don’t have to talk to anyone, and you can be completely emerged in the screen. … I take a nap. 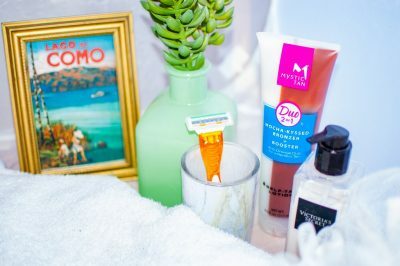 What tips would you add to this list? What has worked for you?